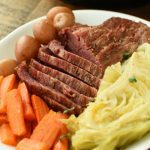 Corned Beef and Cabbage can be enjoyed in a fraction of the time with the help of the Instant Pot! We love corned beef at our house, from eggs Benedict with homemade corned beef and hash to Reuben sandwiches, we love it all the ways. This classic Irish dinner is one of our favorite traditions for St. Patty’s Day! Typically I would cook corned beef in my slow cooker, and I would start it in the morning and it would cook all day to get really tender. 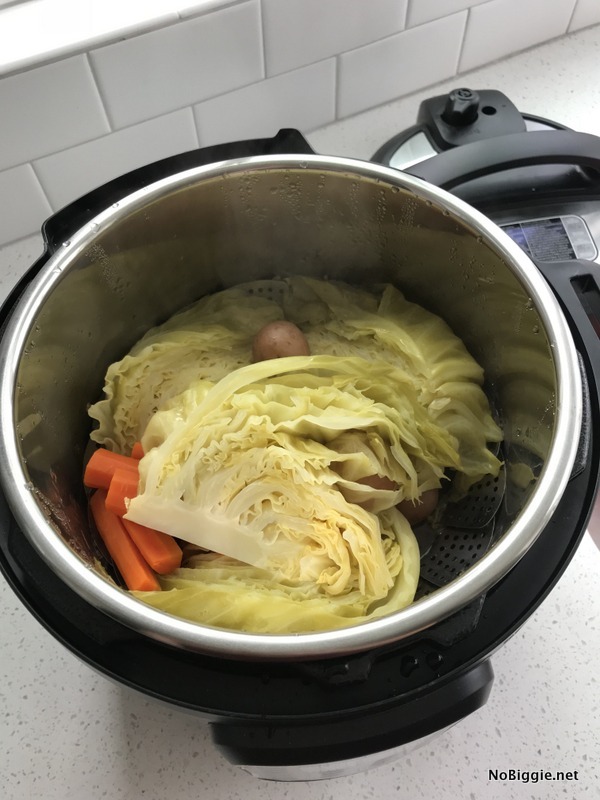 In the Instant Pot, it takes about an hour and a half cooking time. Pretty Sweet! The vegetables can be added after and they cook in 5 minutes! It’s crazy! You can easily over cook the vegetables, so you’ll have to watch it. You’ll definitely want to use the quick release on the steam valve when the cook time is up on the veggies. Another great option for cooking the veggies is to roast them on a sheet pan in the oven (400F. for 40 minutes or so). Roasted cabbage is so good! But let’s keep things simple with less clean up, cook it all in the instant pot! 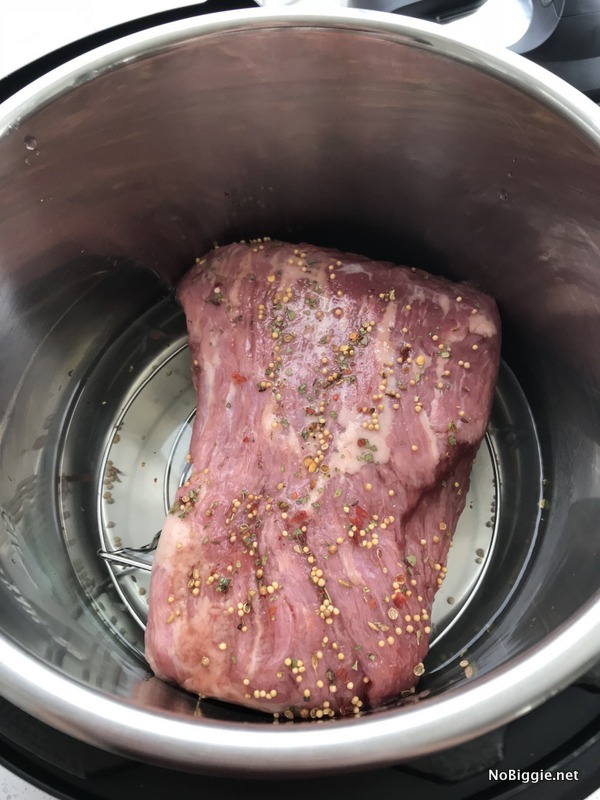 To cook the corned beef in the instant pot. Start by taking the corned beef brisket out of the packaging, and rinse it thoroughly in the sink. Cook on 90 minutes on high pressure. Once time is up, quick release pressure. Remove corned beef to a platter and cover with foil. Let rest while cooking the vegetables. 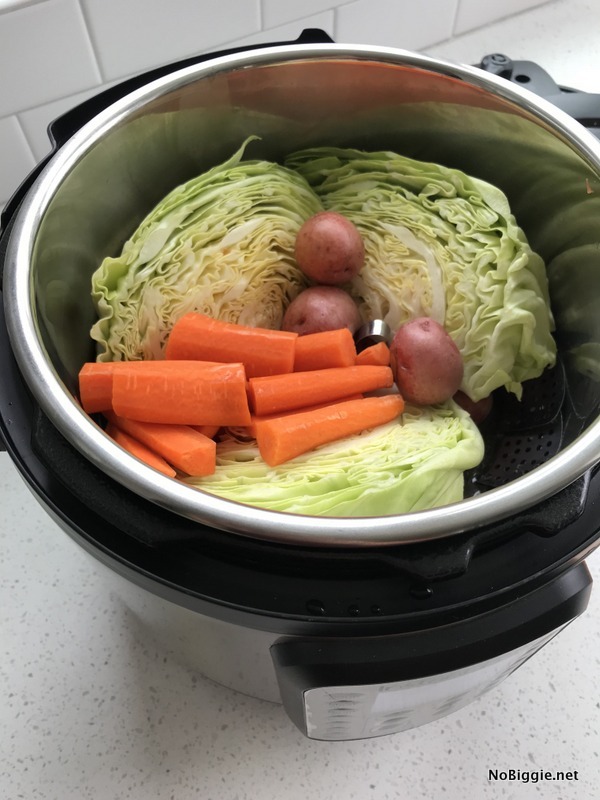 Without discarding the liquid, add potatoes, carrots, and cabbage to the instant pot pressure cooker, you can remove the rack if desired. Cook at high pressure for 4-5 minutes. Do a quick pressure release before removing vegetables. Serve warm. 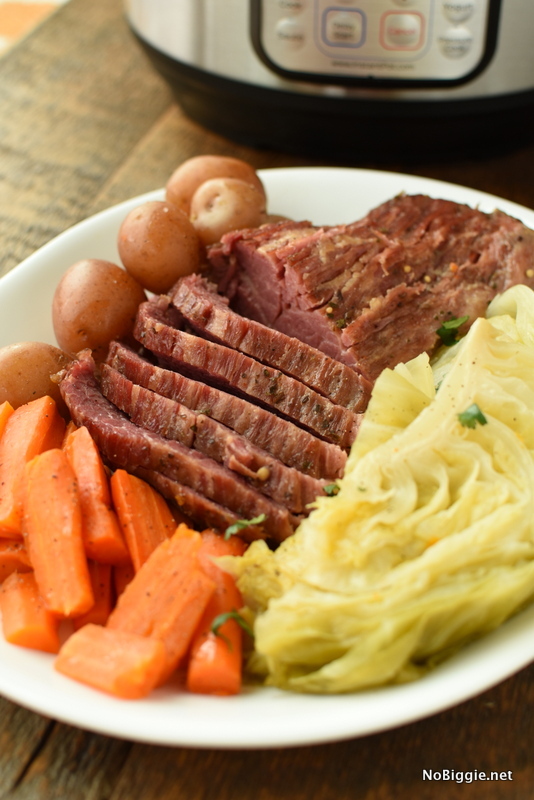 Do you like corned beef and cabbage all year long? Or only around St. Patrick’s Day? Hi Viviana! Yikes…I’m not sure how they disappeared! It is all in the recipe card now. Thank you for letting me know!